Figured I might as well add some info on the shroud labels here. I got tired of looking at my cheesy, half-peeled off OEM labels and decided I had to do something... so I did. I designed my own! These labels are one-piece and replace the two (2) shroud labels, but if you insist, I can make a two-piece setup. To install my full-width labels, you need to remove the small vertical bead on the Passenger side of the label area. It can be done very easily with a ordinary razor-blade paint scraper or with a wood chisel. You just have to work at a steep angle so that you don't gouge the shroud. Once the bead is removed, I suggest you clean the surface with a scouring pad and then wipe it down with some PrepSol pre-paint cleaner. Since I started this project we've found that the adhesive vinyl labels held up great color-wise, but are subject to scuffs and other mistakes that mess up the exposed graphic. My own original label still looked great after 6 months, but I was extremely careful with it. So I decided to switch to a heat-laminated label with clear plastic on both sides. I invested in a professional laminator to make these more durable. I also now apply a come-clean peel off adhesive, but if the truck owner makes a mistake, he can always revert back to using regular automotive two-sided trim tape, and the thinner the better. This should be a lot more durable, and the glossy surface actually looks better. I've been working in-between the raindrops to create some base designs to show the membership what I can do, and tell you what I can't do. These labels are printed in full process color which means I can include digital images in the design. The print quality is fairly good, not absolutely photographic... but quite good. The label finish is matte, and I cannot print metallics although I can make something that resembles a brushed metal... but its flat art. That's Rob's above from his now departed 9-second beauty... and of course he went all out with it. I was thinking some guys would like Race Truck to scream at them when they opened the hood. This could be nice on any color truck, but maybe extra special on a white truck. The background could also be red, blue, black, or something else. I call this one "Storm" and its pretty obvious why. Could be appealing to those guys in coastal states as well as other locations. This one I'm calling "Tribal" and I tried to incorporate some tribal graphics in it without going too far. This particular one might look hot in a sonic blue truck, but I can adapt it to other color schemes as well. For you hard-core types or someone with a sonic blue truck... this could be pretty nice on a black shroud. In this red one, I incorporated the WMS logo to show that if you love your tuner, I can add the tuner's logo to your shroud. I'll only do this if the tuner gives you permission. While I'm dealing with some limitations, this piece uses a sort of carbon-fiber background with centered logo and a airbrushed in shot of a truck. The one above is a work in progress for Jeff (207). I'm not done yet... but I did want to show a shamu label. 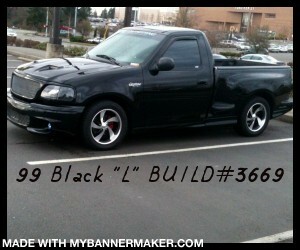 I'm also working on one for Darrell (DJCapri50), and one for Jody (383SVT) and his race truck. The sample above is intended for tuners/vendors who would be interested in selling a tuner/vendor-specific label to their customers. If you're interested, send me a PM and we'll figure out pricing on a minimum quantity order that makes sense for both of us. 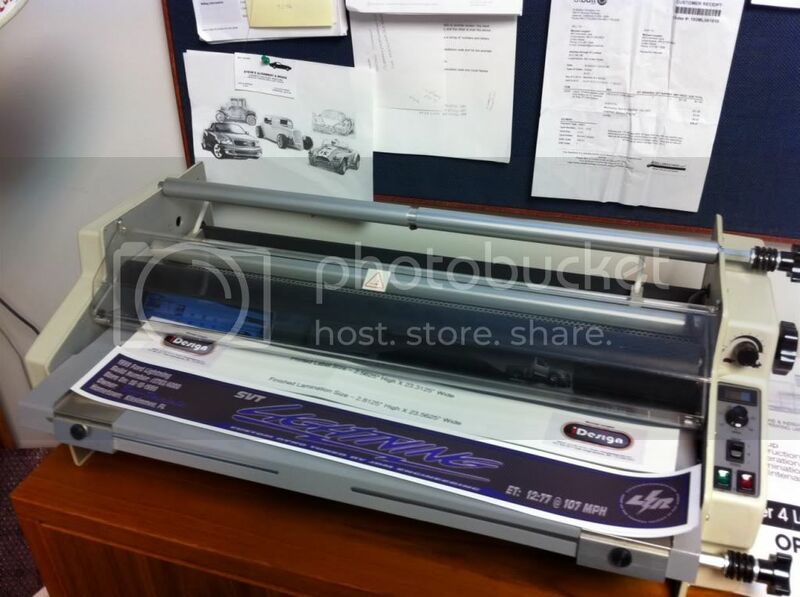 But what nicer compliment to your business could you have than a shroud label with your name and contact information. As far as individual label design goes... all you have to do is send me a PM to get things started. The price went up over the years because I switched from an unprotected label to a double-wall hot laminated piece. Plus they are printed off-site and my printing costs as well as shipping has gone up too. Actually Loki got two, one with black lettering and one with charcoal brushed lettering. I still don't know which is on the truck! Did that one for CapeLightning's sonic blue beauty. Dave's label under the hood of slownlow... worked up a "carbon fiber" background for the LR logo and balanced it with the oblong piece on the other side. Did the above one for Eddy, who is a friend of G'Z Rayo IIRC. Couple of labels out there in the Valley. Did that one for Bob Daniels... lot of Florida guys liking these. This one is very detailed in person, integrated the "Custom Tuned by JDM Engineering"... JPGs are downsized, only for posting, original art is 300 dpi pdfs. We had to simplify it because of printing issues, but it turned out pretty hot. And everyone... feel free to ask questions, I will try my best to answer them on the fly. But keep in mind these are CUSTOM, I'm not mass-producing anything, and its not something I can spit out in a day or two. Each label is a piece of art in itself. You tell me what you want, and I'll do my level best to give it to you. It can easily take two weeks from order to shipping the finished label, and we will have dialogue via email during that time. Thanks for your patience and compliments on this project. Last edited by OldTimer; 02-16-2018 at 07:40 AM. ....might have to pick one up after I get done paying JLP for my mota! Has the one of a kind hidden B00bie magnet installed! 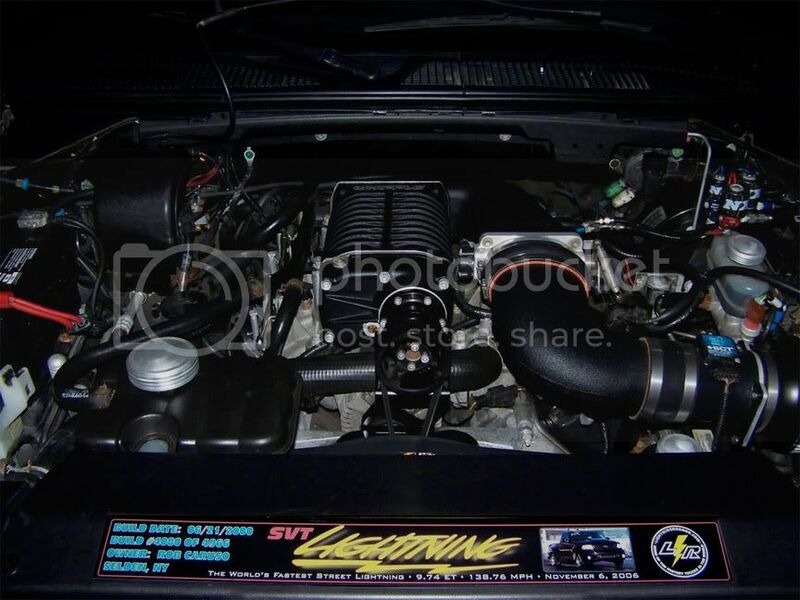 [email protected] 19 PSI, .030 over Manley H-beams, Rods, Super Cobra Jet crank, XR heads, stage 3 cams, arp 2k headstuds/rod bolts...Built by Layne Automotive, Fulton IL.... Alive again 24 Sept 2016! As far as individual label design goes... all you have to do is send me a $40.00 "gift" via paypal and I will design your custom label. Gift Donations have to be made in advance, and can be either PayPal or US Postal Money Order. I had to read it twice before i saw it.lol I was so sidetracked with the pictures. Guys, these are super nice and VERY durable. Hold up well under the hood and clean up is easy. Price is noted above $40/donation & shipped via USPS Priority Mail with tracking to all Lightning Rodder members, no paypal fees. Working on some new ideas too. Had some time on my hands last week so I tried something new. Going to look into bulk purchase of frames maybe, and settle on black or chrome... and upper & lower or single wide lower strip with a thin upper. Pix is from phone, but label is carbon fiber background with white pinstripe and red lettering. I have chrome nut caps couldn't find them for the pix. Yes officer... I am aware of how fast I was going! Last edited by Bluelightning; 06-28-2012 at 08:10 PM. Just so you guys know I can do a two-piece, I figured I'd throw up a sampler. In this particular case... I used a Harley theme, but it could obviously just as well been for a lightning. Carbon Fiber background with a little bit of Harley bling. I could also do this in a single width, and will add it down the road... working on other projects right now so its 5th or 6th on my list LOL.